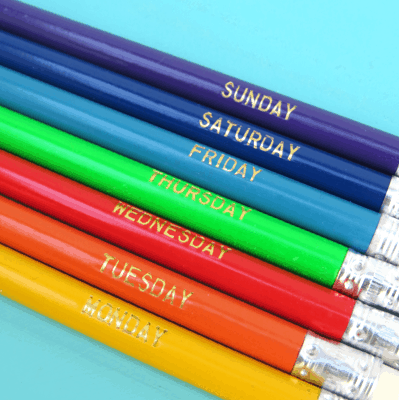 Learning the days of the week is just more fun when you have this gorgeous set of pencils in your hands. Or use them to remind you which day of the week it is – perfect for the busy person! 7 HB pencils with the days of the week foiled in gold.